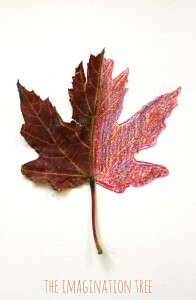 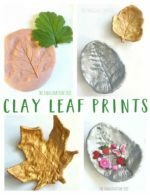 Make some beautiful leaf printing art using natural materials in any season! 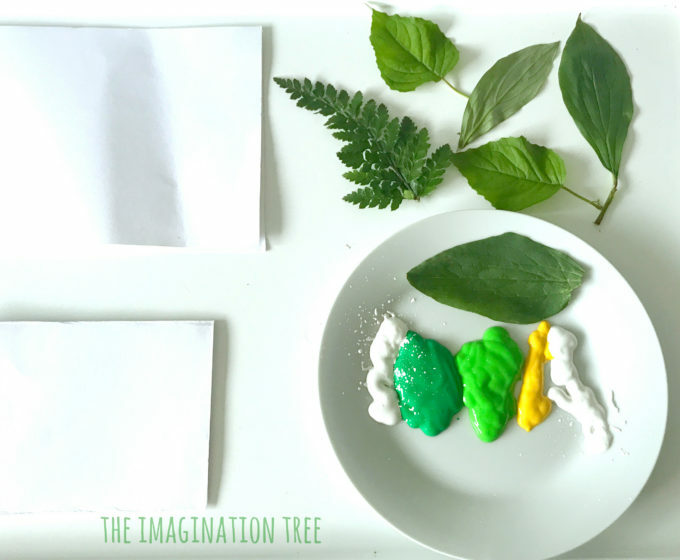 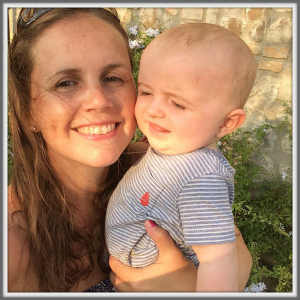 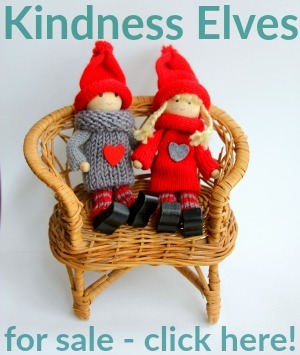 So simple and effective, easy enough for any age to enjoy! 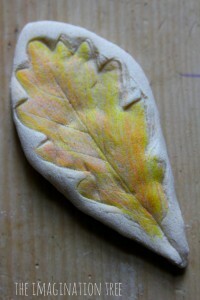 Printing is one of my most favourite art forms, along with collage and sculpture. 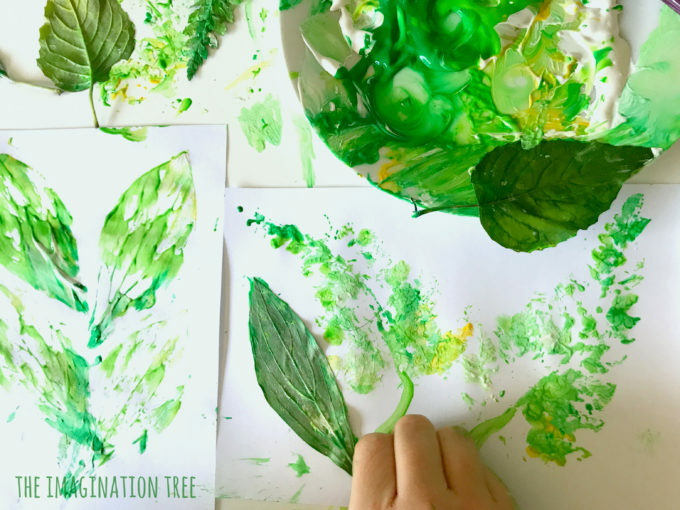 I love how you can take simple household items, cut fruit and vegetables and many items from nature and use them print such a wide range of shapes and patterns. 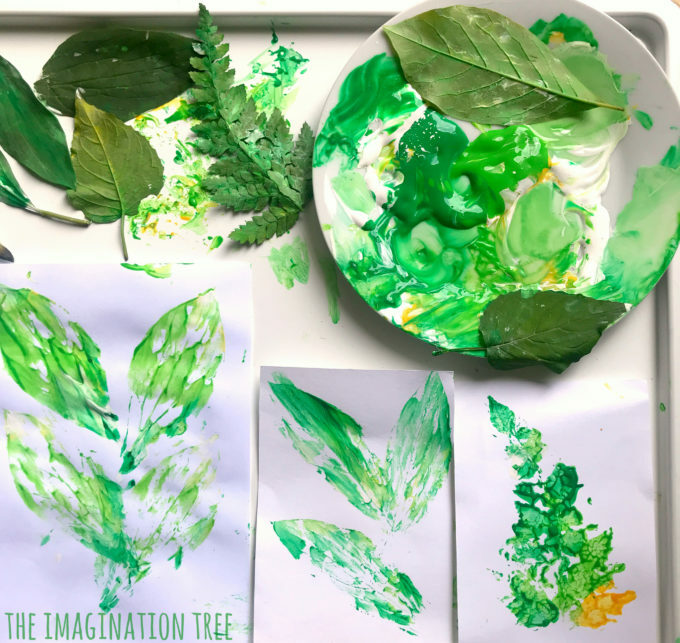 Leaves and flowers make particularly striking and beautiful prints and can be gathered on nature walks or from an outdoor play area while outside together. 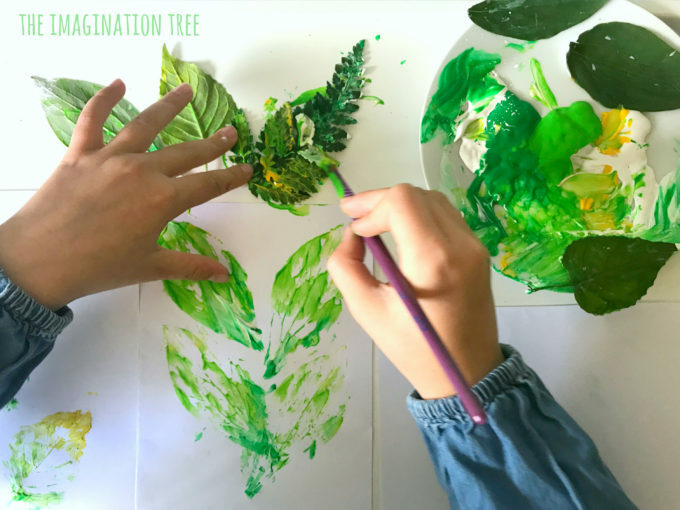 Add them to a nature journal, use them to create large scale art, print them onto cards or even turn them into wrapping paper and gift tags. 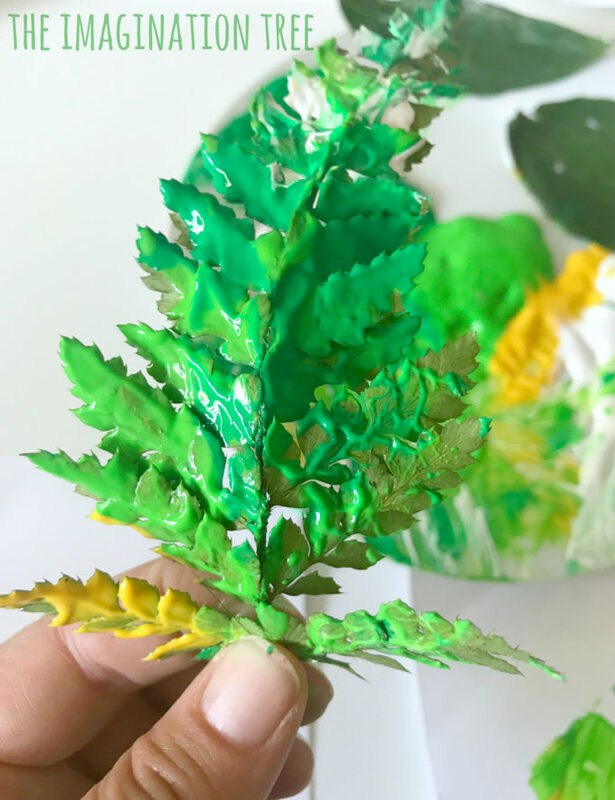 For the best results, paint the leaves using a paintbrush rather than dipping them directly into the paint, to ensure the paint isn’t applied too thickly. 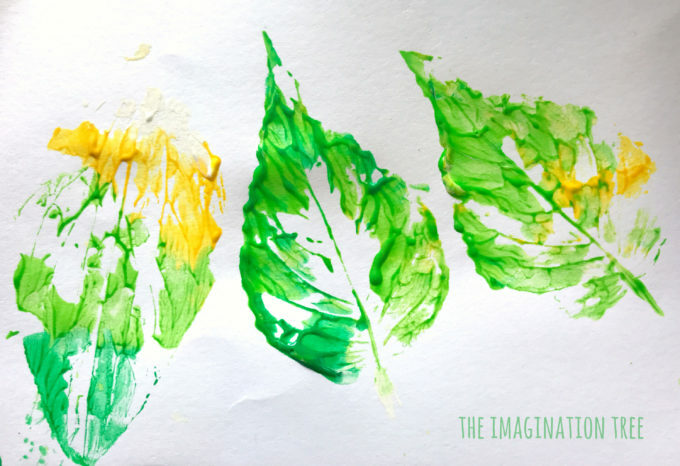 Then press them directly into the paper, smoothing over the back of them using your hands, and carefully peel off to reveal the print. 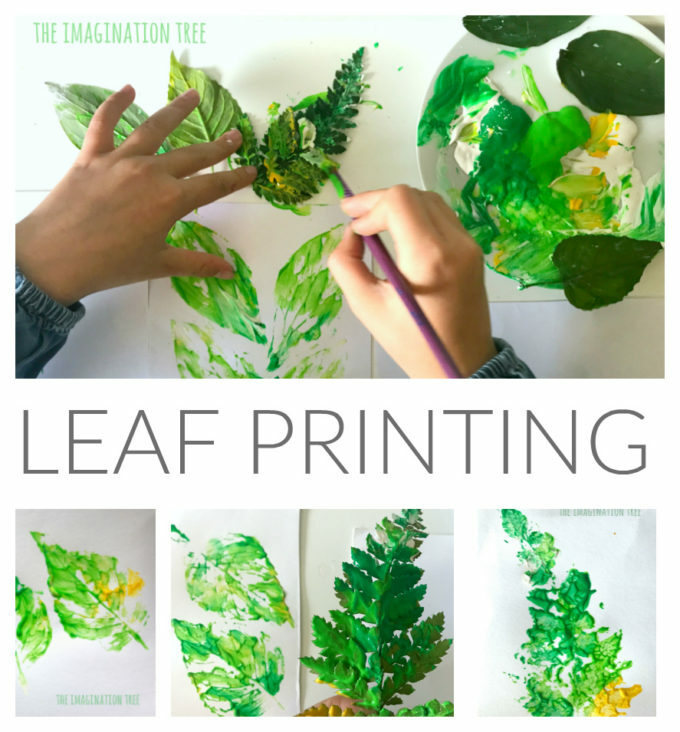 We found it looked really effective to add a range of similar colours on the leaves before printing, as well as arranging the prints next to each other or even slightly overlapping them too. 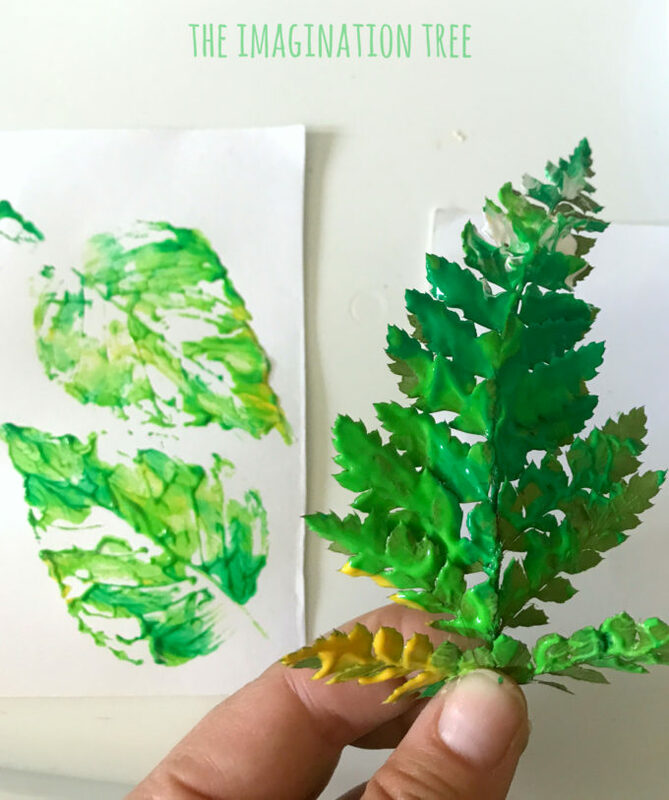 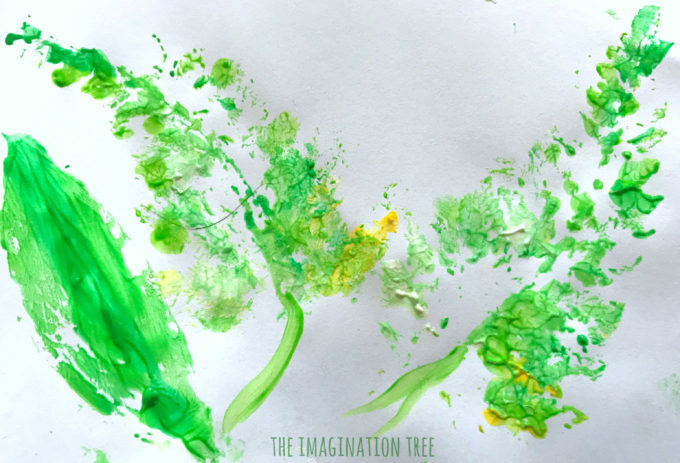 Each leaf, once painted on, can be used to make a print at least 2-3 times, sometimes making the best result by the last one as the paint has thinned out a little by then. 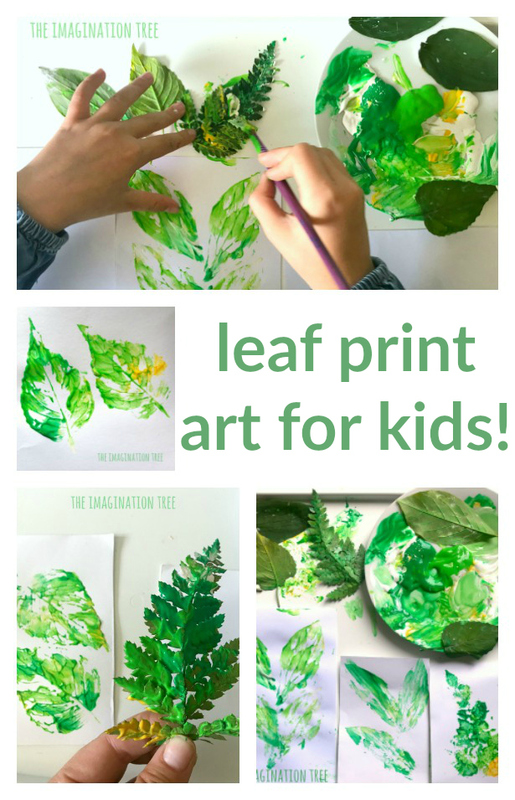 We all loved trying this out and made a huge stack of leaf prints in a variety of shapes! 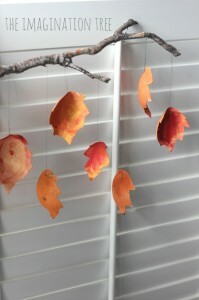 We will cut around them to make cards and others we will frame in an arrangement. 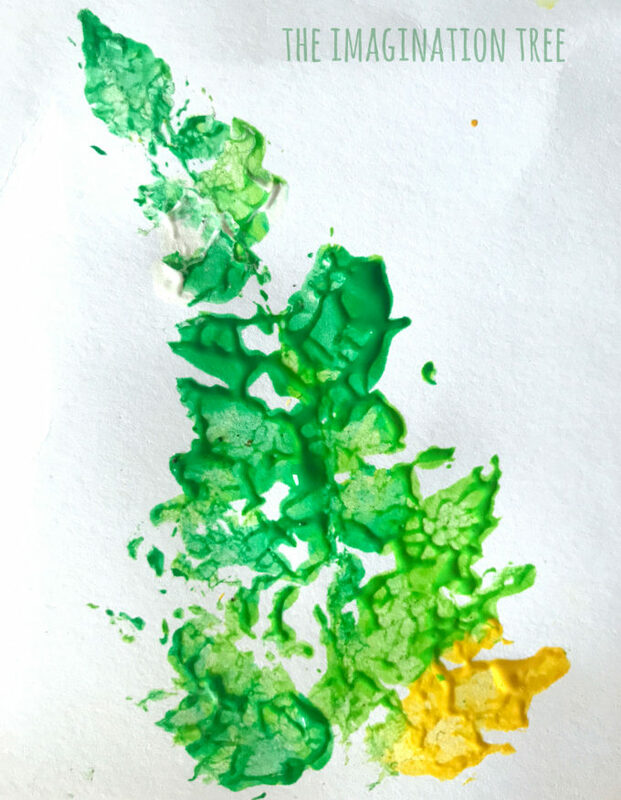 These look absolutely stunning alongside the really bright and colourful flower prints that we made recently! 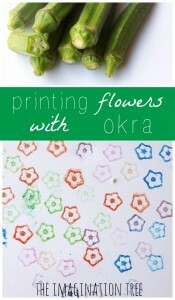 And the full PRINTING ARCHIVES here!